Acute astitis (also called acute mammitis) is an acute inflammation of breast or udder tissue usually due toinfection. Staphylococcus aureus is the most common pathogen responsible, but S. epidermidis andstreptococci are occasionally isolated as well. 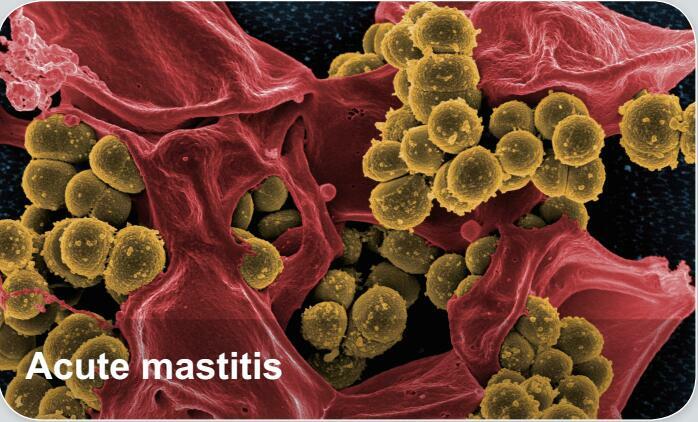 Mastitis can be classified as milk stasis, non-infectious or infectious inflammation and abscess.